Active Learning Classrooms (ALCs) are learning spaces specially designed to optimize the practice of active learning and amplify its positive effects in learners from young children through university-level learners. 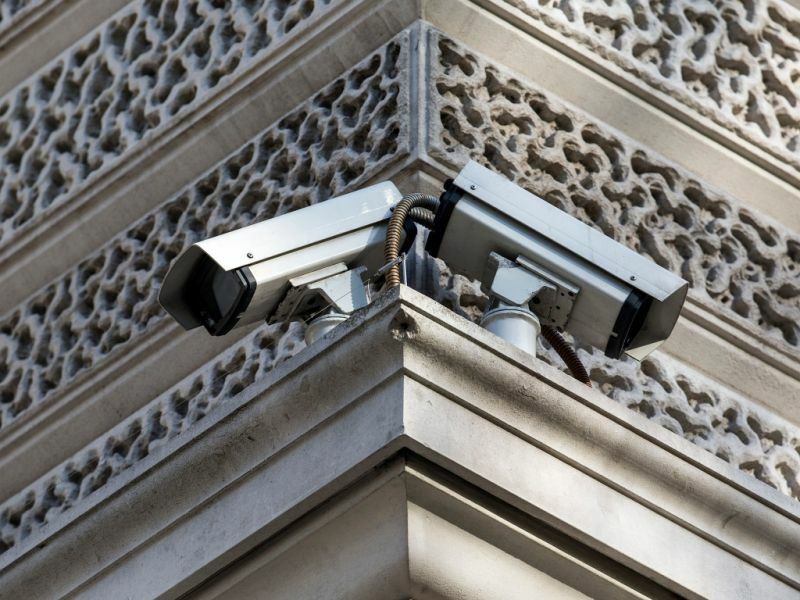 As interest in and adoption of ALCs has increased rapidly over the last decade, the need for grounded research in their effects on learners and schools has grown proportionately. In this paper, we review the peer-reviewed published research on ALCs, dating back to the introduction of “studio” classrooms and the SCALE-UP program up to the present day. We investigate the literature and summarize findings on the effects of ALCs on learning outcomes, student engagement, and the behaviors and practices of instructors as well as the specific elements of ALC design that seem to contribute the most to these effects. We also look at the emerging cultural impact of ALCs on institutions of learning, and we examine the drawbacks of the published research as well as avenues for potential future research in this area. 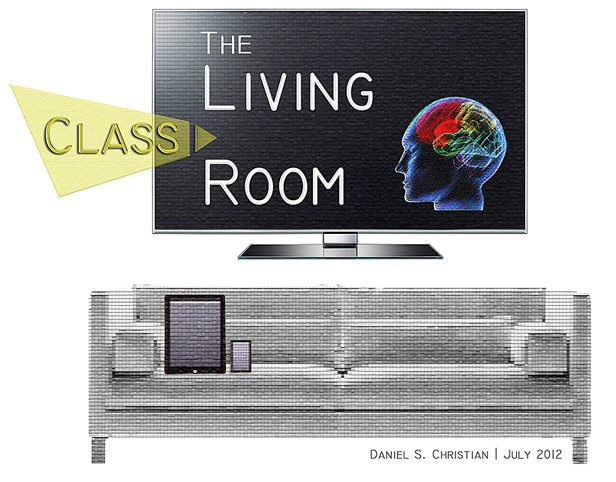 1.1: What is active learning, and what is an active learning classroom? Active learning is defined broadly to include any pedagogical method that involves students actively working on learning tasks and reflecting on their work, apart from watching, listening, and taking notes (Bonwell & Eison, 1991). Active learning has taken hold as a normative instructional practice in K12 and higher education institutions worldwide. Recent studies, such as the 2014 meta-analysis linking active learning pedagogies with dramatically reduced failure rates in university-level STEM courses (Freeman et al., 2014) have established that active learning drives increased student learning and engagement across disciplines, grade levels, and demographics. As schools, colleges, and universities increasingly seek to implement active learning, concerns about the learning spaces used for active learning have naturally arisen. Attempts to implement active learning pedagogies in spaces that are not attuned to the particular needs of active learning — for example, large lecture halls with fixed seating — have resulted in suboptimal results and often frustration among instructors and students alike. 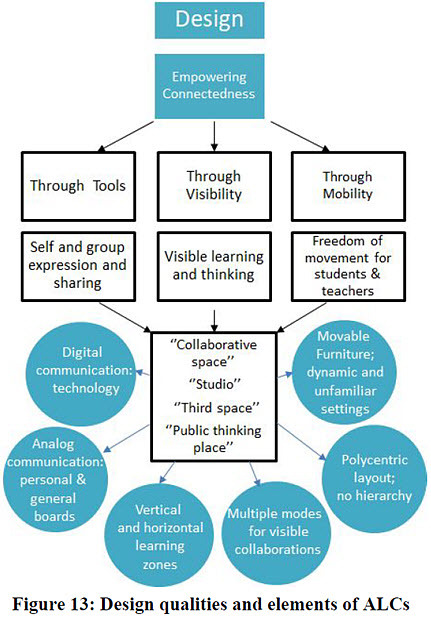 In an effort to link architectural design to best practices in active learning pedagogy, numerous instructors, school leaders, and architects have explored how learning spaces can be differently designed to support active learning and amplify its positive effects on student learning. The result is a category of learning spaces known as Active Learning Classrooms (ALCs). ALCs are classrooms, that is, formal spaces in which learners convene for educational activities. We do not include less-formal learning spaces such as faculty offices, library study spaces, or “in-between” spaces located in hallways or foyers. technologies (including technological infrastructure such as power outlets). movable or located in an inconspicuous location so as not to attract attention; or perhaps there is no specific location for the instructor. 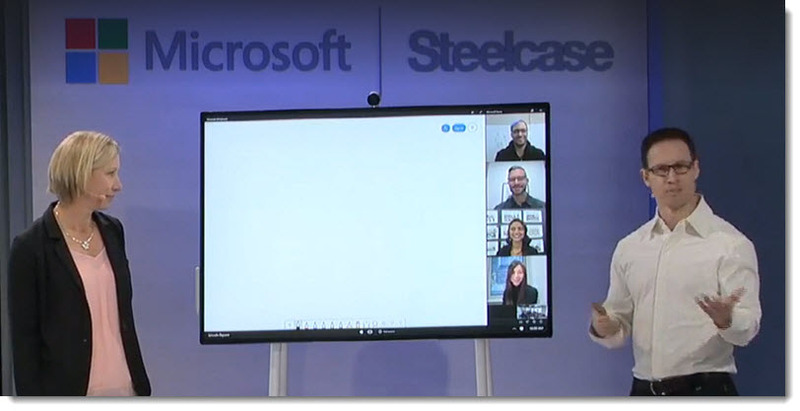 Finally, ALCs typically provide easy access to digital and analog tools for learning , such as multiple digital projectors, tablet or laptop computers, wall-mounted and personal whiteboards, or classroom response systems. What effects do ALCs have on measurable metrics of student academic achievement? Included in such metrics are measures such as exam scores, course grades, and learning gains on pre/post-test measures, along with data on the acquisition of “21st Century Skills”, which we will define using a framework (OCDE, 2009) which groups “21st Century Skills” into skills pertaining to information, communication, and ethical/social impact. What effects do ALCs have on student engagement? Specifically, we examine results pertaining to affective, behavioral, and cognitive elements of the idea of “engagement” as well as results that cut across these categories. What effect do ALCs have on the pedagogical practices and behaviors of instructors? In addition to their effects on students, we are also interested the effects of ALCs on the instructors who use them. Specifically, we are interested in how ALCs affect instructor attitudes toward and implementations of active learning, how ALCs influence faculty adoption of active learning pedagogies, and how the use of ALCs affects instructors’ general and environmental behavior. What specific design elements of ALCs contribute significantly to the above effects? Finally, we seek to identify the critical elements of ALCs that contribute the most to their effects on student learning and instructor performance, including affordances and elements of design, architecture, and technology integration. The common denominator in the larger cultural effects of ALCs and active learning on students and instructors is the notion of connectedness, a concept we have already introduced in discussions of specific ALC design elements. By being freer to move and have physical and visual contact with each other in a class meeting, students feel more connected to each other and more connected to their instructor. By having an architectural design that facilitates not only movement but choice and agency — for example, through the use of polycentric layouts and reconfigurable furniture — the line between instructor and students is erased, turning the ALC into a vessel in which an authentic community of learners can take form. 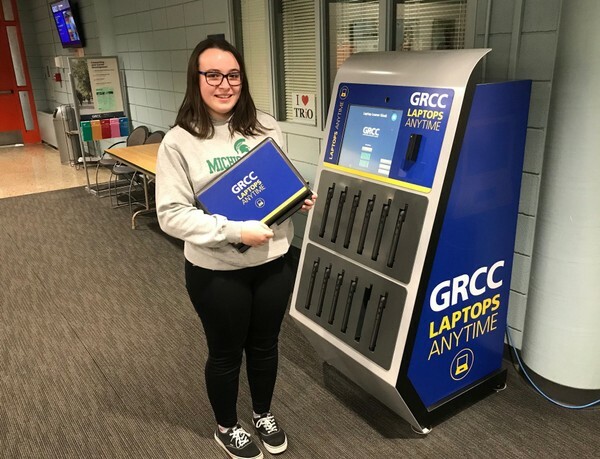 GRAND RAPIDS, MI – Grand Rapids Community College (GRCC) is among higher education institutions providing free laptop vending machines to give students greater access to technology and more flexibility. Retrieving a laptop from the machine is as quick and easy as grabbing chips from a vending machine. A student punches in their last name on the touchscreen, swipes their student ID, and out pops one of the 12 Dell laptops. The fully charged computers are available for four hours. Students simply return them back to the machine when done. The machine automatically wipes it clean of their work and recharges it for the next person. So, among other factors currently influencing change, those are the predominate ones. I’ll sum it up this way: The tried-and-true residential model has worked so far, but a number of factors are forcing transformation: emerging technologies, new expectations about when learning will occur in a student’s lifespan, and the introduction of a whole new population of students that had never been imagined before. Grush: What are your latest efforts or experiments in new professional education offerings that you see as part of this transformation? When did you make a start and what impacts do you see so far? Finholt: The biggest transformation for us to date has been our entry into the MOOC space. That movement began with a few small trials, but it’s now rapidly expanding and may include, ultimately, full degree offerings. I would describe our period of experimentation with MOOCs to have started in 2013, gaining especially significant momentum in the past two years. Over the next couple of years, our efforts will expand even more dramatically, if we elect to offer fully online degrees. As a measure of the magnitude of impact of MOOCs so far, one of our MOOC specializations in the Python programming language is among the most popular offerings on Coursera — I believe that it has reached more than a million learners at this point. A significant fraction of those learners have opted to sit for an exam to get a certificate in Python programming. 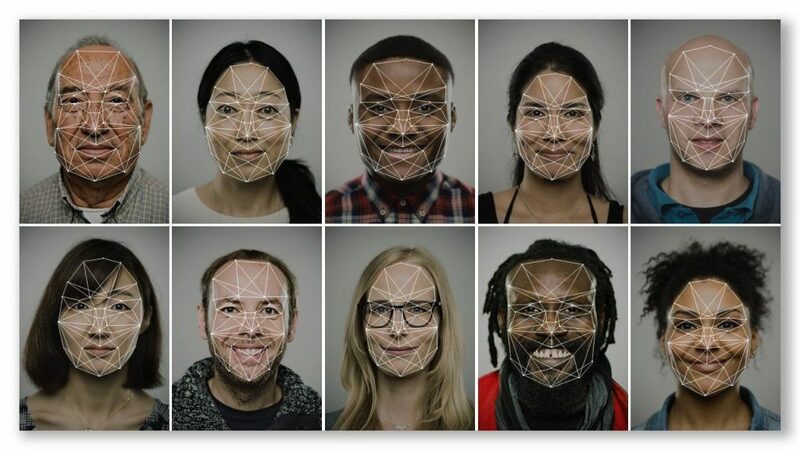 One is, as announced at the March 6th Coursera meeting, that we have joined in a partnership with Coursera and the University of Michigan’s Office of Academic Innovation to design and get approved, a brand-new online master’s degree in Applied Data Science. Oklahoma State University’s first inaugural “Virtual + Augmented Reality Hackathon” hosted January 26-27 by the Mixed Reality Lab in the university’s College of Human Sciences gave students and the community a chance to tackle real-world problems using augmented and virtual reality tools, while offering researchers a glimpse into the ways teams work with digital media tools. Campus Technology asked Dr. Tilanka Chandrasekera, an assistant professor in the department of Design, Housing and Merchandising at Oklahoma State University about the hackathon and how it fits into the school’s broader goals. To set up the audio feed, use the Alexa mobile app to search for “Campus Technology News” in the Alexa Skills catalog. Once you enable the skill, you can ask Alexa “What’s in the news?” or “What’s my Flash Briefing?” and she will read off the latest news briefs from Campus Technology. 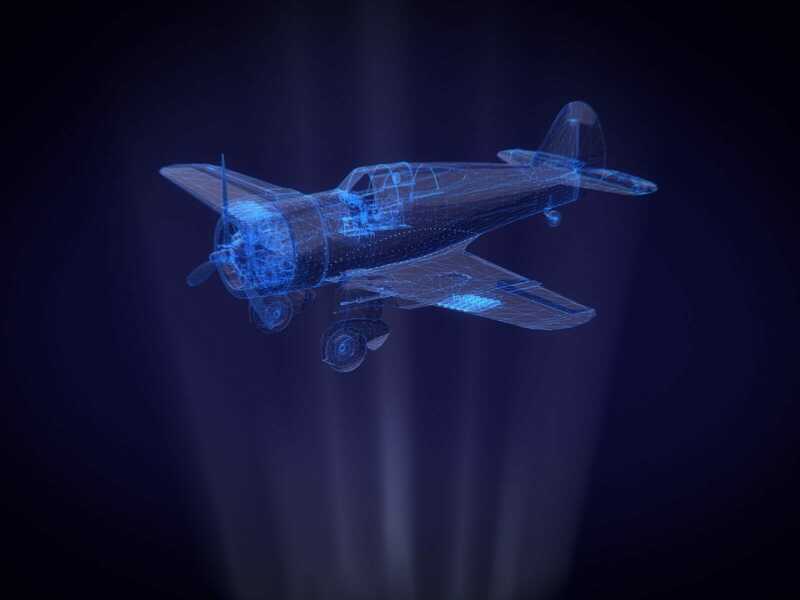 Computer simulations are nothing new in the field of aviation education. But a new partnership between Western Michigan University and Microsoft is taking that one big step further. Microsoft has selected Lori Brown, an associate professor of aviation at WMU, to test out their new HoloLens, the world’s first self-contained holographic computer. The augmented reality interface will bring students a little closer to the realities of flight. When it comes to the use of innovative technology in the classroom, this is by no means Professor Brown’s first rodeo. She has spent years researching the uses of virtual and augmented reality in aviation education. “In the past 16 years that I’ve been teaching advanced aircraft systems, I have identified many gaps in the tools and equipment available to me as a professor. 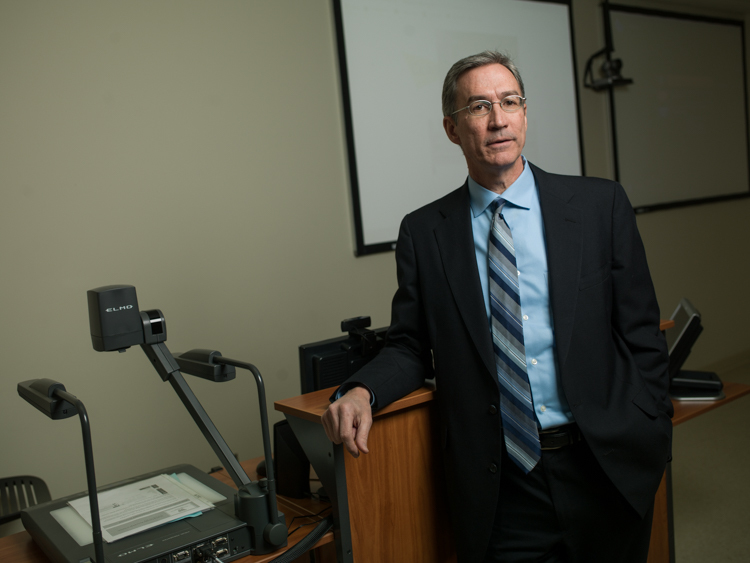 Ultimately, mixed reality bridges the gap between simulation, the aircraft and the classroom,” Brown told WMU News. Storytelling traces its roots back to the very beginning of human experience. It’s found its way through multiple forms, from oral traditions to art, text, images, cinema, and multimedia formats on the web. If the accepted rules of storytelling are undermined, we find ourselves with a remarkably creative opportunity no longer bound by the rectangular frame of traditional media. The concept to use VR as an educational tool has been gaining success amongst teachers and students, who apply the medium to a wide range of activities and in a variety of subjects. Many schools start with a simple cardboard viewer such as the Google cardboard, available for less than $10 and enough to play with simple VRs. A recent study by Foundry10 analyzed how students perceived the usage of VR in their education and in what subjects they saw it being the most useful. According to the report, 44% of students were interested in using VR for science education, 38% for history education, 12% for English education, 3% for math education, and 3% for art education. 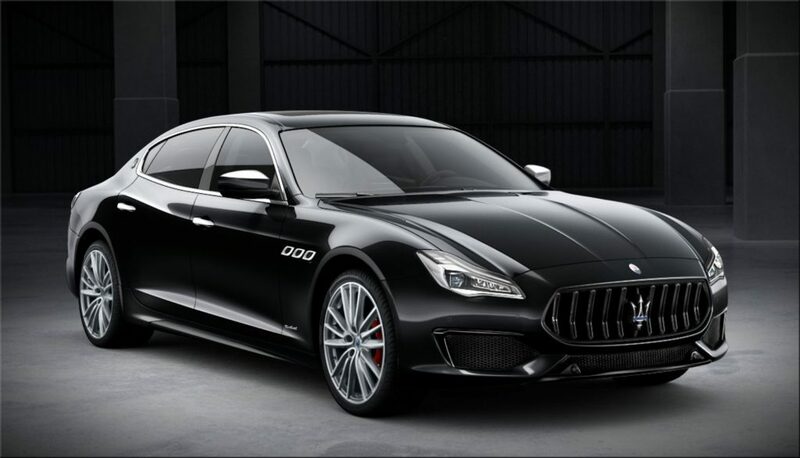 Among the many advantages brought by VR, the aspect that generally comes first when discussing the new technology is the immersion made possible by entering a 360° and 3-dimensional virtual space. This immersive aspect offers a different perception of the content being viewed, which enables new possibilities in education. Schools today seem to be getting more and more concerned with making their students “future-ready.” By bringing the revolutionary medium of VR to the classroom and letting kids experiment with it, they help prepare them for the digital world in which they will grow and later start a career. Last but not least, the new medium also adds a considerable amount of fun to the classroom as students get excited to receive the opportunity, sometimes for the first time, to put a headset viewer on and try VR. VR also has the potential to stimulate enthusiasm within the classroom and increase students’ engagement. Several teachers have reported that they were impressed by the impact on students’ motivation and in some cases, even on their new perspective toward learning matter. These teachers explained that when put in control of creating a piece of content and exposed to the fascinating new medium of VR, some of their students showed higher levels of participation and in some cases, even better retention of the information. DC: Students! Perhaps this learning strategy will help you as you learn how to learn as well! I have been trying to blog more about learning how to learn — and to provide some more resources on metacognition and the like. 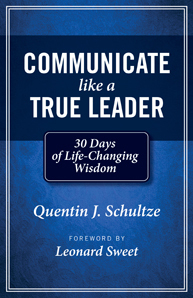 Along these lines — and with permission from the author — the following excerpt is from Quentin Schultze’s solid book, Communicate like a True Leader (pages 35 & 36). I asked Quin if I could share this excerpt because I think it’s a great strategy to share with students. Whether they know it or not, learning how to learn is THEE key skill these days. Quin would also emphasize some other items such as listening, attending to reality, communicating effectively with others, and more…but my focus here is on learning strategies. So I share it in the hope that it will help some of you students out there just as it helped Quin. During the beginning of my sophomore year, I started reviewing each day’s class notes after classes were over. I soon realized how little I recalled even of that day’s lectures and discussions. It dawned on me that normal note-taking merely gave me the impression that I was learning. I implemented a strategy that revolutionized my learning, launched me successfully into graduate school, helped me become a solid teacher, equipped me to be a productive researcher-writer, and made it possible for me to be an engaging speaker. I not only reviewed my notes daily. I rewrote them from scratch within a couple of hours of each class meeting. I used my actual course notes as prompts to recall more of the lecture and to help me organize my own reactions to the material. My notes expanded. My retention swelled. My revised notes became a kind of journal of my dialogue with the instructor and the readings. I integrated into my revised course notes my daily reading notes, reworking them into language that was meaningful to me and preparing to ask the instructor at the next class anything that I was uncertain about. From then on I earned nearly straight A’s with far less cramming for exams. Moreover, I had begun journaling about my learning — one of the most important communication skills. I became a real learner by discovering how to pay attention to others and myself. In a broad sense, I learned how to listen.